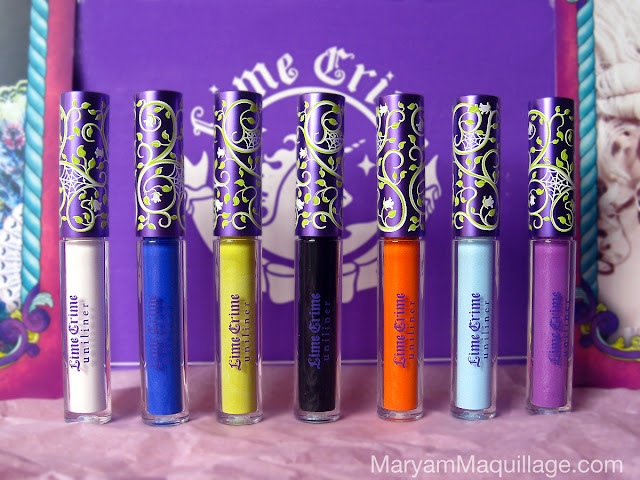 Lime Crime Eyeshadow Helper -- this is by far my favorite primer of all. The finish is completely smooth, velvety, and provides the perfect base for all types of eyeshadows. U-Nuco Lashes #U5 -- these cute bead lashes are easy to DIY. All you need is a pair of spiky lashes, some clear lash glue, tweezers and a few beads. Voila! Smooches from moi & the lovely Doe Deere! This is gorgeous Maryam. I just wish I could draw even a little. I would love to try out this look. This is absolutely GORGEOUS!!! I cannot get over how talented u are!!! This look screams springtime!!! gah! I WISH I was this creative! I want video. please. u a amazing. so cute fun and creative! This is absolutely amazing and flawless! I love this so much. Keep up the awesome work! It is really creative. Nice selection of colors. YAY, this is so spring-y! I am so sick of cold and snow as well. 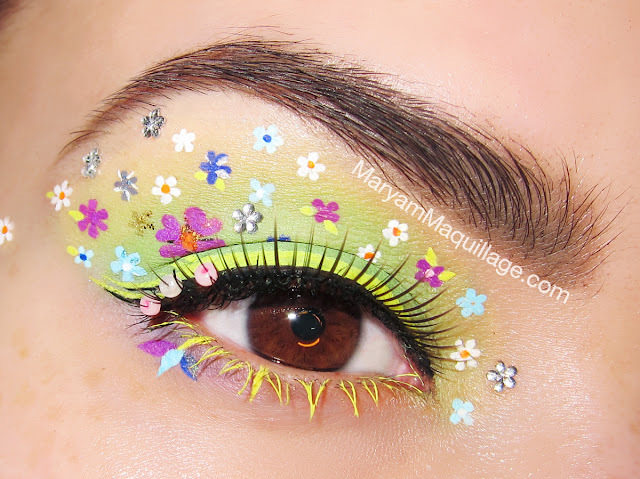 I like the contrast between the eyeliner flowers and the silver nail stickers. Also I just love Citreuse! My god, so beautiful, the detail, the colours, the hair extensions, the whole look is so beautiful.